How Does the Airmiles Scheme Work? Home > Other Schemes > How Does the Airmiles Scheme Work? Air miles schemes are one of the most common types of reward schemes on offer. Every time you fly or make a purchase with a provider with a deal particular air line you clock up free air miles. These miles can then be collected and used to take flights for free. It seems pretty straight forward, and for the most part it is. The only time they come into question is when the issue of corporate air miles is raised, as has been the case recently in light of the MPs expenses scandal. For the average consumer though air miles are a great way to save money and treat yourself to a free trip abroad. How Do I Get Air Miles? Getting airmiles is simple. You simply join an air miles scheme. Many stores and companies have air miles deals. Credit card companies, large grocery stores and even petrol stations have air mile deals. Each time you use that credit card, shop at that store or fill your car at that petrol station you collect air miles. The company should advertise whether or not they offer an air miles schemes however if you are unsure you should ask to find out. How Do You Use Airmiles? Once you have collected air miles you are able to use them to pay for flights. The more miles you collect the longer journeys you can have take. The destinations on offer may differ from airline to airline but this should be clearly stated. Collecting air miles and using them for trips is a great way to save money and make the most of the money you spend. However in some circumstances the issue is a little more complicated. Recently, with the MPs expenses scandal coming to light, the issue of corporate air miles has come to light. If you work for a company that involves a lot of travelling you will obviously collect many air miles. The issue arises when these air miles are then used for personal excursions. The person is not out of pocket at all as the company, or in the MPs case, the Government, pays for the initial flights and then he or she reaps the rewards. The question of whether this is ethical has been raised and many would argue that it is not, especially in the case of MPs. For the average consumer though air miles are a handy money saving tool. The problem is many people choose not to become part of such a scheme because of the minimal time involved joining up. 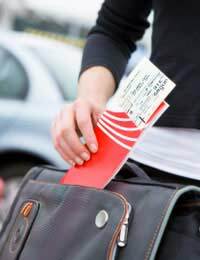 If you are a regular traveller then you could save yourself a fortune so check out some of the schemes on offer, read all the small print and sign up today. Even if you are not a ‘regular’ traveller you could still save money by joining a scheme. Just be sure you know exactly what you’re getting yourself into and there are no hidden pitfalls that you might have missed.